How Far is Triangle Garden city? Triangle Garden City situated at Anekal with close proximity to electronic city, an IT Hub of Bangalore, makes a perfect Residential Location. 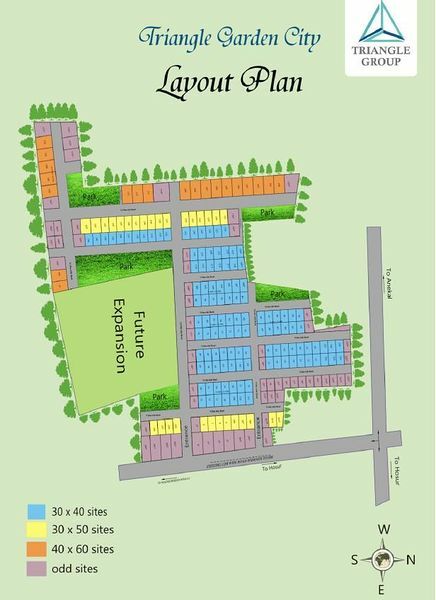 The green canopies layout with it landscaped parks, Tree lined Avenues and wide road creates a refreshing retreat against the stressful city lifestyle. The refreshing beautiful layout is situated adjacent to Anekal town on Anekal - Hosur state Highway. Triangle Garden City is, BMRDA approved residential township with modern facilities, care has been taken to ensure that the pristine environment is left undisturbed. Here you will get the best of god made and manmade world.